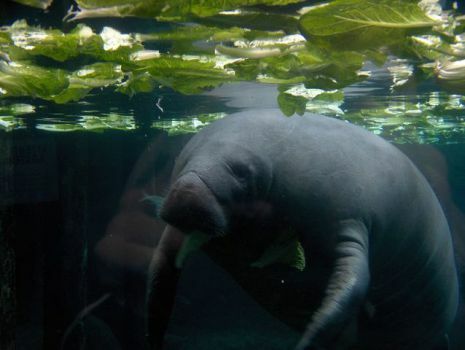 violation of Florida's Manatee Sanctuary Act. The manatee, also known as a sea cow, is a large, gentle, and shy marine mammal with paddle-like fins. While slow-moving, they are intelligent and curious, which has led to their being hurt, disfigured, or even killed by encounters with propeller-driven watercraft. Between this and habitat destruction, man is the biggest threat to the survival of the manatee. The woman admits to touching the animal, but claims that she is new to the area and did not know that it was illegal to be in contact with a manatee. The manatee was not physically injured in the incident. The maximum penalty for this violation is a $500 fine and 6 months in jail. There is no word on the penalty for being clueless in the state of Florida. Give Your Dog a Chilly Treat With Freezy Pups!